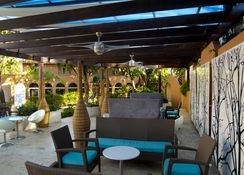 Barcelo Santo Domingo is located in the old city of Santo Domingo on the northern coast of Dominican Republic. It offers a convenient stay and modern amenities to some beautiful monuments nearby. 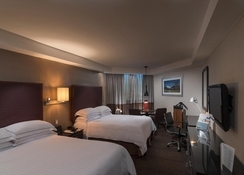 The hotel has free parking and guests can easily reach the property from the Las Americas International Airport, which is just 25km from the property. 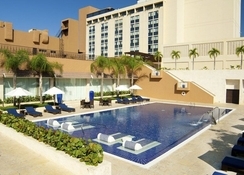 Guests can enjoy free Wi-Fi here as well as the casino – the star attraction of Barcelo Santo Domingo. 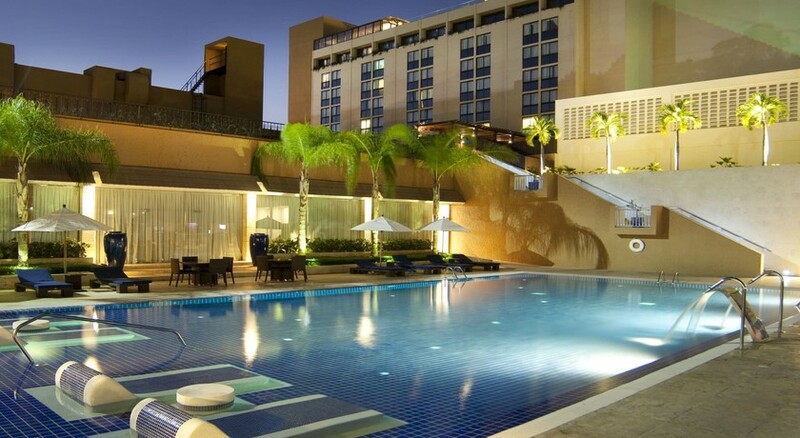 An inviting outdoor pool enables you to refresh with a relaxing dip. Santo Domingo, the capital of the Dominican Republic is also one of the Caribbean's oldest cities. At its core stands the ancient, cobblestoned Zora Colonial including a Cathedral built in 1500, the first such in New World. The Plaza de España is dotted with quaint cafes and bars, and the Historic Alcázar de Colón Palace is now converted to a museum home to many medieval and Renaissance art. 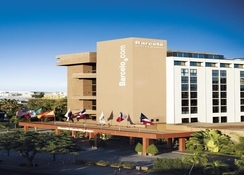 Conveniently located in the old city, Barcelo Santo Domingo offers easy access to National Theatre of Santo Domingo and some famous shopping malls like Agora Mall and Sambil which are just at 1km from here. This quaint little downtown hotel is located at just two minutes from the Professor Juan Bosch Metro Station for those who prefer the rail route. The popular Parque Zoologico Nacional is just 6.8km from here. The hotel boasts of 216 colourful modern rooms equipped with flat-screen TVs, Wi-Fi and well-stocked minibars. 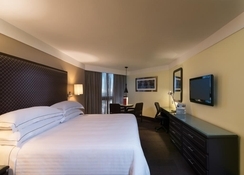 The upgraded rooms have iPod docks and access to complimentary continental breakfast. The suites add living rooms and some come with balconies and whirlpool tubs. For those who wish to eat in the privacy of their rooms, the hotel offers room service. Guests can sample international delicacies in the four restaurants here. The Kyoto restaurant is the most famous for its lip-smacking Japanese cuisine. There are four swanky bars here serving the choicest spirits in town amidst an ‘uber’ ambience. The hotel has a large swimming pool where guests can soak up the sun. A welcoming casino at the hotel has some classy ambience with table games and slots where guests can play their favourite games and listen to the music of the Lina Biq Band. 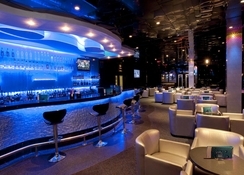 The hotel offers convenient event planning service for those who need to arrange for a party here. Guests can pamper themselves at the gym and wellness centre here. A salon offers grooming services for men and women.